In New York, the investigative reporter Rowena Price (Halle Berry) sees her scoop about a gay senator spiked by her editor. 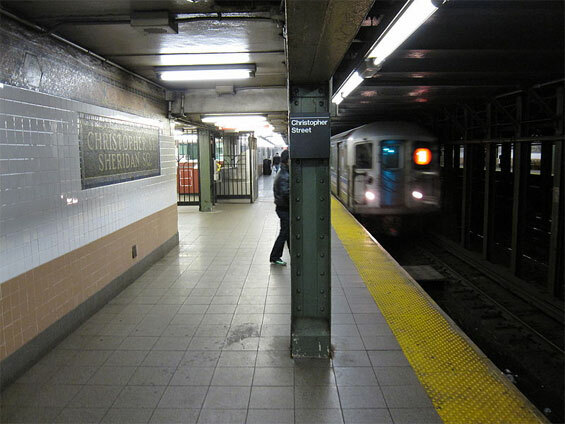 She quits her job in the newspaper and meets with her childhood friend Grace by chance in the subway. Grace tells Rowena that she had just been dumped by the powerful and wealthy owner of the greatest New Yorker advertising agency, Harrison Hill (Bruce Willis), and she was threatening to tell his wife about their affair. When Grace is found dead, Harrison becomes Rowena's prime suspect. With the support of her hacker friend and former colleague Miles Haley, Ro is hired for a temporary work in Harrison's agency to get close to the executive and investigate his life. 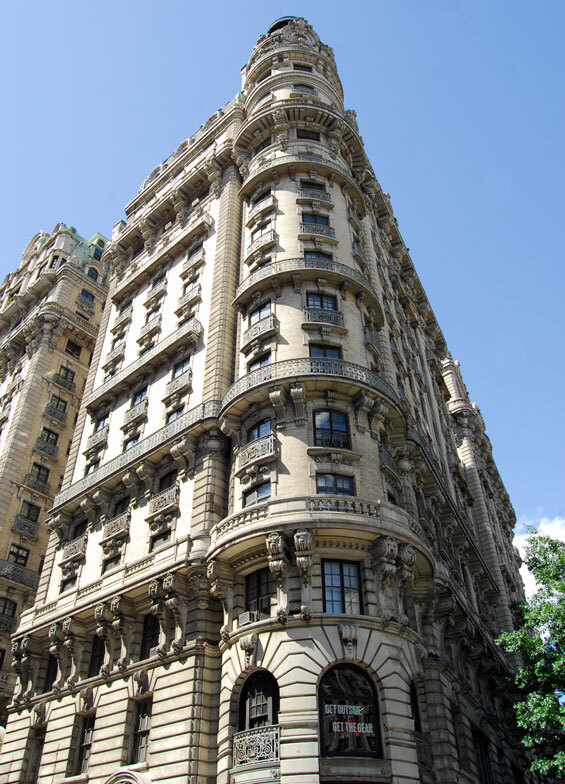 Rowena Price's Apartment, 2109 Broadway and West 73rd Street, Manhattan. Hill Enterprises, Barclay Street, Financial District, Manhattan. 7 World Trade Center is a building in New York City located across from the World Trade Center site in Lower Manhattan. 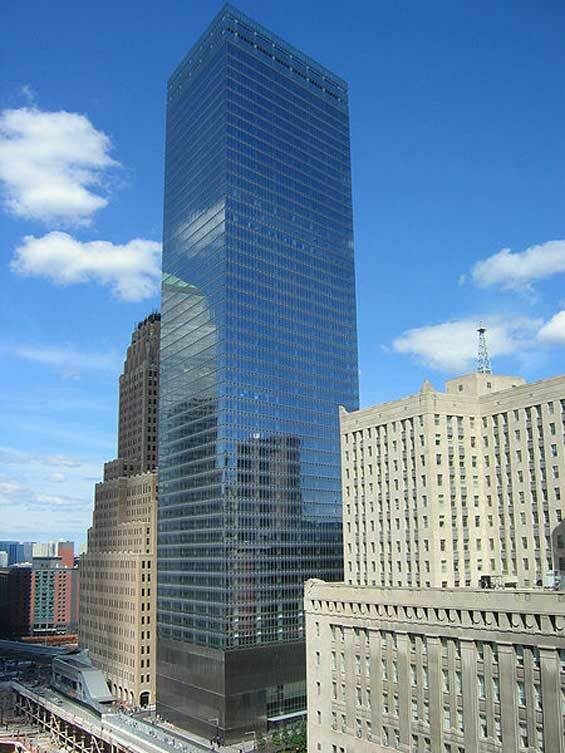 The name "7 World Trade Center" has referred to two buildings: the original structure, completed in 1987, and the current structure. The original building was destroyed on September 11, 2001, and replaced with the new 7 World Trade Center, which opened in 2006. 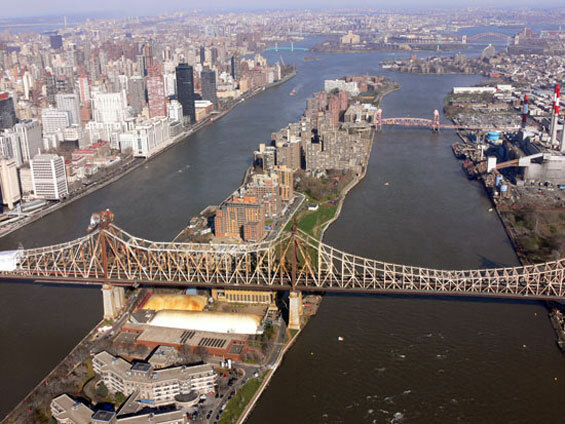 Both buildings were developed by Larry Silverstein, who holds a ground lease for the site from the Port Authority of New York and New Jersey. The original 7 World Trade Center was 47 stories tall, clad in red exterior masonry, and occupied a trapezoidal footprint. An elevated walkway connected the building to the World Trade Center plaza. 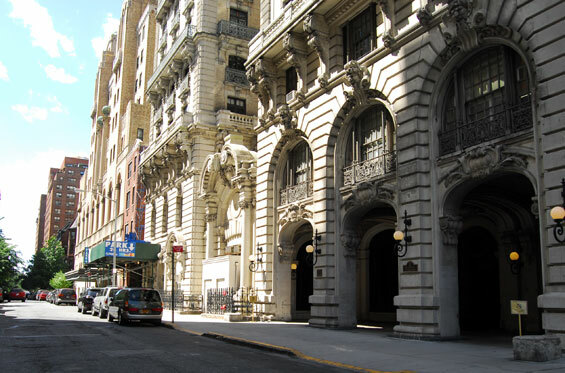 The building was situated above a Consolidated Edison (Con Ed) power substation, which imposed unique structural design constraints. When the building opened in 1987, Silverstein had difficulties attracting tenants. In 1988, Salomon Brothers signed a long-term lease, and became the main tenants of the building. On September 11, 2001, 7 WTC was damaged by debris when the nearby North Tower of the WTC collapsed. The debris also ignited fires, which continued to burn throughout the afternoon on lower floors of the building. The building's internal fire suppression system lacked water pressure to fight the fires, and the building collapsed completely at 5:21:10 p.m.. The collapse began when a critical column on the 13th floor buckled and triggered structural failure throughout, causing at first the crumble of the east mechanical penthouse at 5:20:33 p.m. The new 7 World Trade Center construction began in 2002 and was completed in 2006. It is 52 stories tall and still situated above the Con Ed power substation. Built on a smaller footprint than the original to allow Greenwich Street to be restored from TriBeCa through the World Trade Center site and south to Battery Park, the new building is bounded by Greenwich, Vesey, Washington, and Barclay streets. A small park across Greenwich Street occupies space that was part of the original building's footprint. 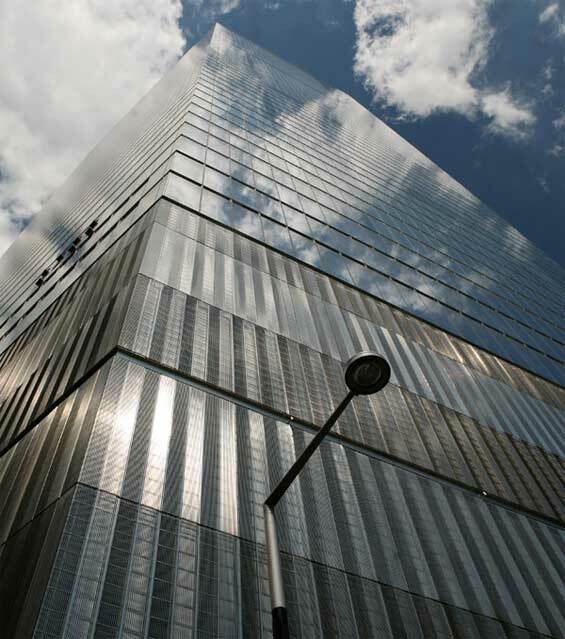 The current 7 World Trade Center's design places emphasis on safety, with a reinforced concrete core, wider stairways, and thicker fireproofing of steel columns. It also incorporates numerous environmentally friendly features. 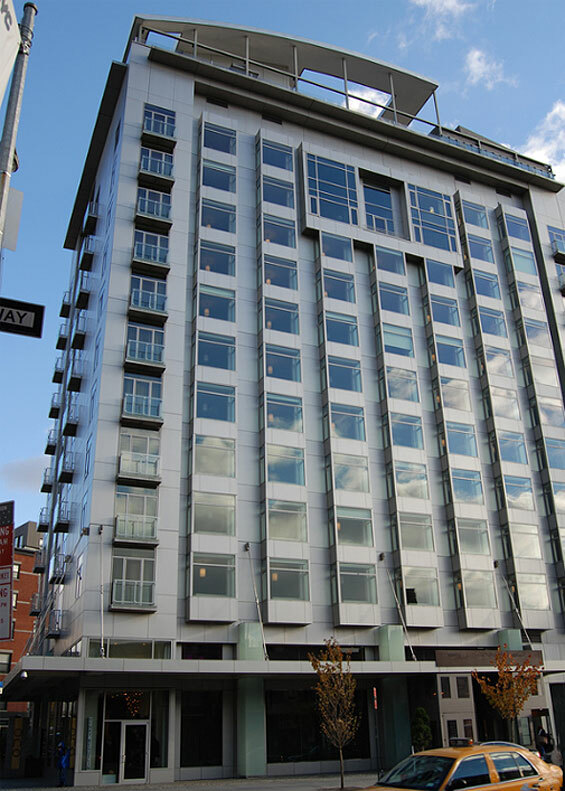 The Hotel Gansevoort, 18 9th Avenue and Gansevoort Street, Manhattan. 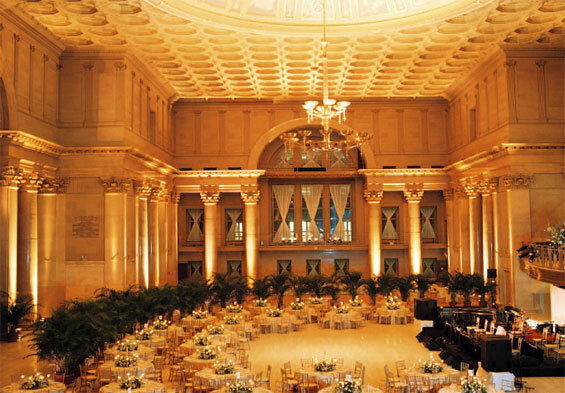 Cipriani, 110 East 42nd Street (btw Lexington and Park Avenues) Manhattan. Chumley’s, 86 Bedford Street and Barrow Street, Manhattan. Chumley's closed because of a chimney collapse. Chumley's was established in 1926 by the socialist activist Leland Stanford Chumley, who converted a former blacksmith's shop near the corner of Bedford and Barrow Streets into the Prohibition-era drinking establishment. The speakeasy became a favorite spot for influential writers, poets, journalists, and activists, including members of the Lost Generation and the Beat Generation movements. A number of qualities remain from Chumley's Prohibition history. 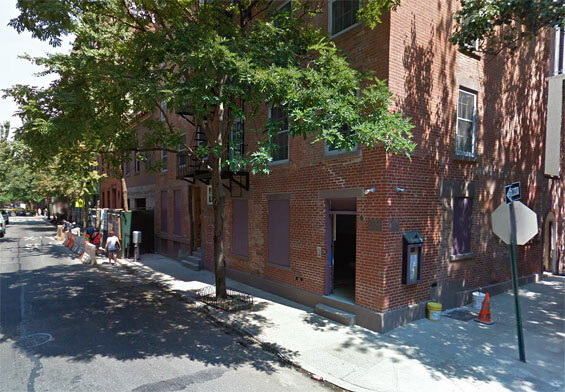 Notably, the Barrow Street entrance has no exterior sign, being located at the end of a nondescript courtyard ("The Garden Door"), while the Bedford Street entrance, which opens to the sidewalk, is also unmarked. Inside, Chumley's is still equipped with the trap doors and secret stairs that comprised part of its elaborate subterfuge. The term "86" originated when an unruly guest was escorted out the Bedford St. door, which held the address "86 Bedford St." A plaque at the tavern, dated September 22, 2000, and placed by Friends of Libraries USA, stated that Chumley's has been placed on a Literary Landmarks Register and goes on to describe Chumley's as: A celebrated haven frequented by poets, novelists and playwrights, who helped define twentieth century American literature. These writers include Willa Cather, E.E. 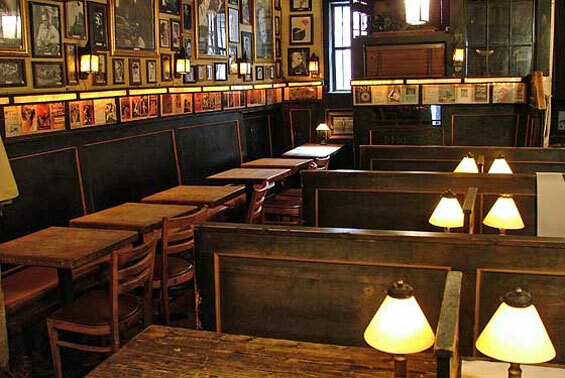 Cummings, Theodore Dreiser, William Faulkner, Ring Lardner, Edna St. Vincent Millay, Eugene O'Neill, John Dos Passos, and John Steinbeck..
Posted on the walls of Chumley's were the covers of books supposedly worked on there. 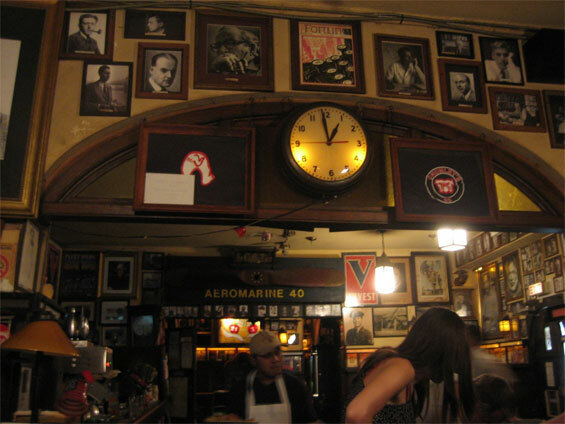 Because of its historical significance, Chumley's is a stopping-place for various literary tours. Chumley's has been closed since the chimney in its dining room collapsed on April 5, 2007. Promises to reopen have been made repeatedly, but progress in its reconstruction has been sporadic, and as of April 2011, work remained unfinished. Subway Station (Sheridan Square) Christopher Street and 7th Avenue, Manhattan. 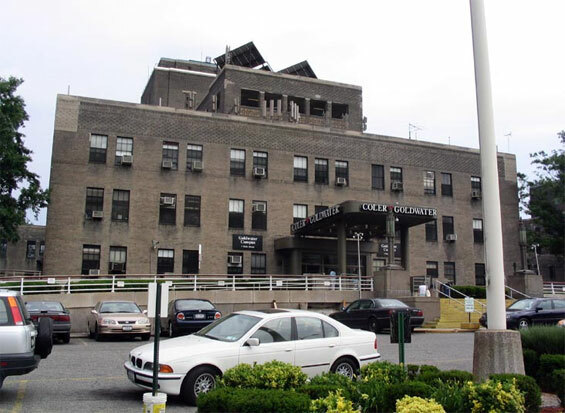 Coler-Goldwater Memorial Hospital, 1 Main Street, Roosevelt Island.